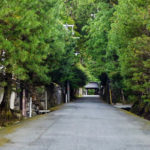 Not far from the hustle and bustle of Japan’s third largest city, the holy mountain known as Koya-san is one of the most peaceful spiritual centres in the country. 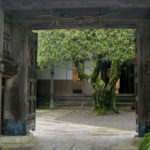 Mount Koya is the heart of Shingon Buddhism and the resting place of the sect’s founder, perhaps Japan’s best known Buddhist, known as both Kukai and Kobo Daishi. The eight forested peaks of Mount Koya reach eight hundred metres into the clouds, surrounding the high plateau with a sense of serenity. 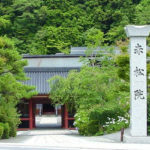 Boasting over one hundred temple complexes, the area offers a welcome respite from the heat and crowds of Osaka or Kyoto. 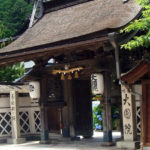 A number of the many temples provide temple-stays or shukubo for travellers. Staying on Mount Koya is one of the best ways to experience Buddhist life in Japan: bathing before a dinner of traditional shojin-ryori, and rising with the birds for the morning prayers with the monks. 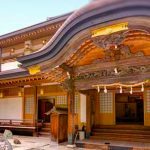 Visitors need not be Buddhist to experience shukubo stays, and the Koya-san temples are particularly welcoming. 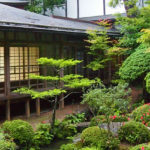 Into Japan Specialist Tours is more than happy to include a temple stay on Mount Koya as part of your trip to Japan.